Some were turned away because they did not have a valid driver’s license. Others gave the last few dollars they had for food, and while a long line formed at the pawn shop. Regardless of where they were, they shared one thing in common – poverty. Fortunately, this was only a simulation. But for many in Collin County, the scenarios are real. In 2016, more than 60,000 Collin County residents lived below the poverty line. 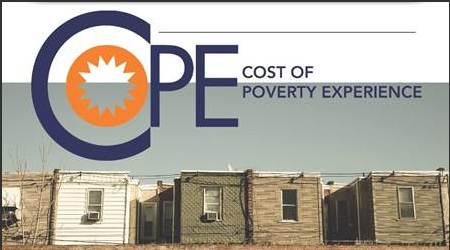 This is shocking for people to discover, said Bill Beamon, leader for last week’s Cost of Poverty Experience (COPE) hosted at Cottonwood Creek Church in Allen. “These are the working poor,” Beamon said. “And Collin County is full of them.” He explained that a family of three living on $30,000 each year are still considered to be in poverty. 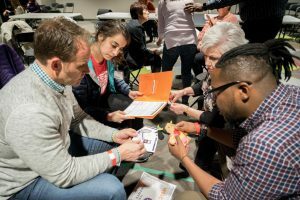 The COPE simulation is a project of Unite Greater Dallas, a para-church organization working to connect Christian leaders to each other and to resources needed to address the urgent social challenges facing the Dallas Metroplex. 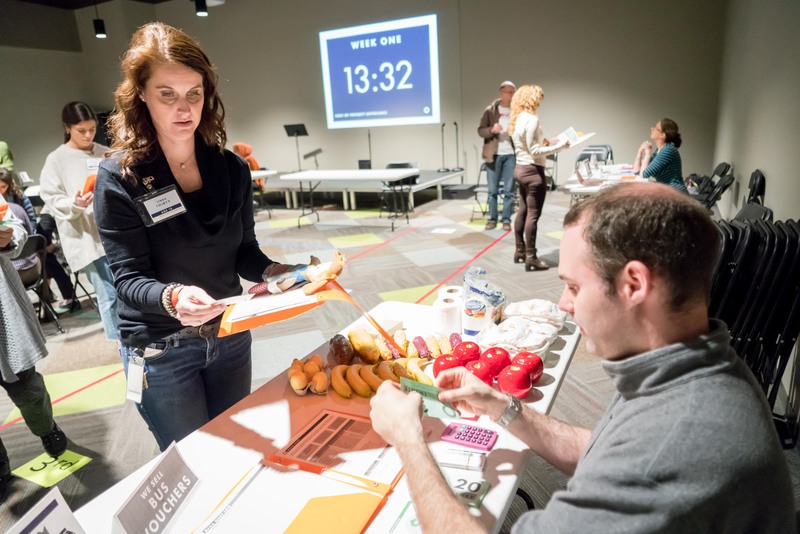 Unite Dallas’ Executive Director Rebecca Walls said her heart was changed from having compassion to having empathy for those in poverty after experiencing a similar simulation eight years ago. Fueled by that experience, Walls helped create COPE. With the help of Beamon who experienced poverty first-hand before eventually working his way into bank management before he joined Unite, Walls hopes to use churches to expose their staffs and their members to the problem of poverty where they live, work, and play. “The goal is that people’s hearts will be transformed so they will want to be part of the solution,” Walls said. 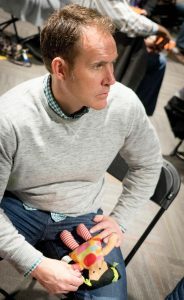 Keith Tyler, missions pastor for Cottonwood Creek Church prepares to simulate a child in an impoverished family during last week’s Cost of Poverty Experience (COPE) at his church. Mission and Outreach Director for St. Philip’s Episcopal Church in Frisco Mary Hendrix said over the years she has utilized many ‘poverty experience’ resources in order to teach people about poverty. “None have come as close to simulating the feeling and reality of what life in poverty is like, more than COPE,” she said. “Walking through this simulation opens my eyes to new perspectives, thoughts, feelings and ideas every time I go through it,” Hendrix said. She added that every time a person participates in a COPE simulation, it is new and different every time. “It really is a game changer; one we all need to experience,” said Hendrix. 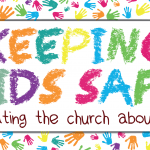 If you would like to know more about how your church or organization can host a COPE simulation, contact Bill Beamon at (214) 734-6507.